The Kogod School of Business Tax Policy Center at American University today released the results of a new study “Shortchanged: The Tax Compliance Challenges of Small Business Operators Driving the On-Demand Platform Economy,” a research project initiated to understand the existing tax compliance challenges for taxpayers who work for on-demand platforms like Airbnb, Uber, Lyft and Etsy. According to the study, 2.5 million Americans are earning income in the on-demand or sharing economy by renting rooms, giving rides, running errands, and selling goods. For tax purposes, on-demand economy service providers and sellers are small businesses owners; however, the study finds the economic activity and growth of these small businesses has largely gone unacknowledged by most government measures for tracking small business activity. Caroline Bruckner, Managing Director, Kogod Tax Policy Center. • 34% did not know whether they were required to file quarterly-estimated payments with the IRS on their on-demand platform income. 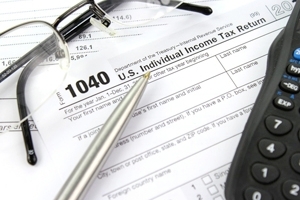 As a result of the current tax code and administration system, many sharing economy taxpayers face the unnecessary burden of potential audit and penalty exposure for failure to comply with filing rules that are triggered by relatively low amounts of earned income and inconsistent reporting rule adoption.